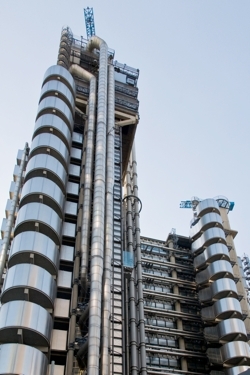 The ability of the Lloyd’s of London insurance and reinsurance market to recapitalise could be threatened if there are further major losses over the remainder of this year, according to analysts at Fitch Ratings who maintain a negative outlook on Lloyd’s ratings. As a result of the recent catastrophe losses, Fitch expects that Lloyd’s capitalisation could fall to levels that are no longer commensurate with its ratings, but it does expect the market will recapitalise successfully, through its next coming into line process that completes before the end of 2017. But, should there be additional major losses, natural catastrophe or otherwise, before that process is completed, then the Lloyd’s market could be at-risk of failing to recapitalise and as a result its ratings could be impacted. Lloyd’s has already revealed a $4.5 billion estimated market loss from just hurricanes Harvey and Irma. Add in the losses expected from hurricane Maria, the Mexico earthquakes and also the ongoing California wildfires and it is easy to see why analysts are increasingly negative on reinsurance players, including Lloyd’s. But so far losses appear to be within tolerances, Fitch says, meaning that it expects the recapitalisation will proceed as expected and Lloyd’s can maintain its level of capital and associated ratings. Throw another major catastrophe into the mix though, or an outsized loss from hurricane Maria, and Lloyd’s ratings could come under increasing pressure and the market may find its recapitalisation much more difficult. The type of investors that will look to recapitalise Lloyd’s now have options, with insurance-linked investment vehicles offering them a way to recoup a much purer reinsurance and risk linked investment opportunity. If Lloyd’s looks under increasing pressure some investors could look to ILS vehicles as a way to gain a similar exposure to the re/insurance industry, but without as much exposure to recent events, given the way ILS funds segregate at-risk assets and positions. “Lloyd’s is temporarily more exposed to any further major losses in advance of ‘coming into line’ and any such event could increase uncertainty around the ability of the market to successfully recapitalise,” Fitch explains. If Lloyd’s, or any other major reinsurance player, suffers outsized impacts from recent events or the impact of a further as yet unseen major loss, there is the potential for investors to look for another way. 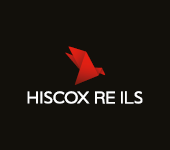 Capital markets investors are increasingly aware of the opportunity to access reinsurance business in a more efficient, and lower expense manner. Meaning that as traditional routes to access insurance and reinsurance returns look more threatened, the alternative capital may increasingly look to ILS as a way in. Munich Re’s CEO said in Baden-Baden yesterday that unless the industry can show it will earn back its losses from recent events, shareholders could begin to show waning support for the re/insurance industry. Fitch does at least believe that reinsurers will have a chance to earn back some of their losses, forecasting higher rates for 2018, at least in loss affected lines and regions. This should boost profitability for Lloyd’s in 2018, Fitch said. However, to take advantage of price increases Lloyd’s needs to maintain its capitalisation and so a threat from any further losses could impact its ability to trade on through a difficult period.